Not all of our kids become voracious readers on their own. In fact, if your child is a struggling reader who hasn’t yet gained fluency, reading is likely far down the list of things he’d like to do with his free time. We have to remember that those early days of learning to read are difficult. Reading still isn’t easy or enjoyable for a child who has to sound out every third or fourth word, so it’s no wonder they don’t love it. Read aloud every day. Don’t do this becauseyou’re trying to turn your child into an independent reader. Do it for the love of books. Do it for the love of your child. Delight is of utmost importance here. 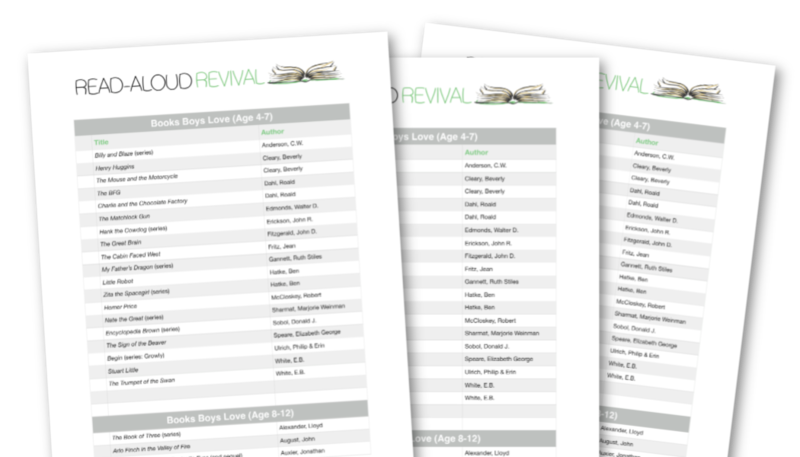 Help your child fall in love with an easy-to-read series. If you can figure out which series will interest your child, you can ignite the enthusiasm they need in order to break through those hardest days. Once they bond with a favorite character, they’ve got a bit of skin in the game- they can’t wait to find out what happens next! Every child is different, and you never really know which series will work for which child. Chances are good that one of these series will do the trick, though. By the way, this is just one category of our Read-Aloud Booklist. Want FREE access to the whole thing? 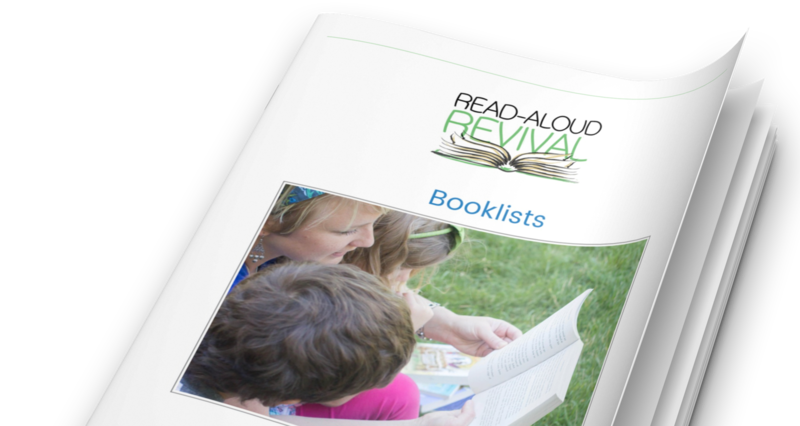 Choose any series from the list that you think may appeal to your young reader, and read the first one aloud. If the book is received unenthusiastically, then just choose another series, and read aloud the first book from that one. Do this until you find a series that your child really engages with. Let’s say your son really falls in love with Nate the Great. 1) Read the first book aloud, and when he expresses displeasure at the book coming to an end, deliver the good news: there are more mysteries that Nate the Great solves! 2) Purchase the second book in the series. By purchasing it, you ensure that library due dates aren’t rushing you or your child through this process. Hand Nate the Great #2 to your child and tell him that you won’t be reading this one aloud, but he can probably read much of it on his own. 3) Encourage him to read it while you’re nearby (perhaps cooking dinner or folding the laundry, so that you’re near and available but not hovering). When he struggles with a word, just tell him what the word is. Your goal here isn’t to get in extra phonics practice. Your goal is to help your child want to read, so that there is significant intrinsic motivation to propel him through those tough moments of sounding words out! I promise: in this situation, you are doing your child a better service to just tell him the word than to ask him to sound it out. If the book is too hard and he gets frustrated, try sitting next to him and read any word that he struggles with. You can even read most of the book to him, and simply encourage him to read shorter sentences or phrases here and there. Trust me on this: you can’t help your child too much, so don’t worry about making this too easy on him. You want this to be easy on him. The most important thing is that you don’t ruin the story by trying to turn it into a lesson. Let your child love the story. Let the story love him back. The reading skill will come. Once he’s on a roll and has read a couple of these books by himself, be sure to keep stocking them up! I bought a zillion Enyclopedia Brown books for my son the year he turned 9 doing exactly this, and he went from reading 1st- and 2nd- grade level readers to Harry Potter in the span of about a month. It was astounding. My girls had similar experiences when they transitioned from struggling through sounding out sentences to fluently cruising through books. The key is to make sure you’re doing consistent, daily work with phonics at a separate time of day, and then use family read-alouds and this series technique to help your child fall in love with reading. It takes patience. And a bit of trust that your kids will fall in love with books if you create the right environment, let it all unfold the way it wants to, and don’t rush the process. P.S. This is how we can help resistant readers fall in love with books, and the most important part of teaching our kids to read.